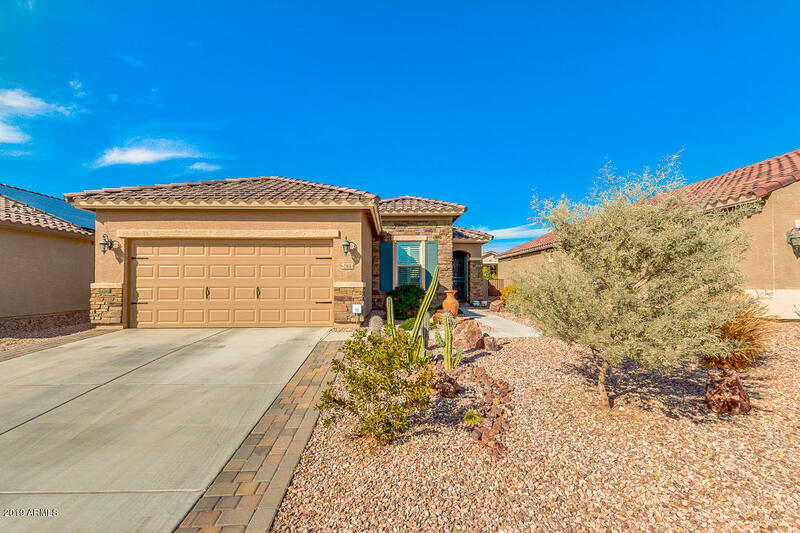 All SUNDANCE PARCEL 27 homes currently listed for sale in Buckeye as of 04/19/2019 are shown below. You can change the search criteria at any time by pressing the 'Change Search' button below. "You must see this impeccably maintained move in ready 2BR/2BA 2016 energy efficient Meritage home with solar and NO CFD. This very popular floor plan includes a separate den/office, great room with open kitchen and informal dining area. The beautiful kitchen boasts granite counters, tile back splash, stacked walnut cabinets with crown molding, breakfast bar, and white appliances! The spacious master suite includes a double sink vanity, walk-in closet and private toilet room. Additional fea"